HABIness owner and dreamweaver Rachel Lozada with son Andres and his wife Jojo at UNDSCVRD’s October night market. “I immigrated to the States when I was 30, so I didn't have the ‘stereotypical’ experience that most Fil-Ams might go through. I had been an activist in the Philippines since my mid- to late teens, and so the anti-colonization and anti-imperialist struggle was very much a focal point of my adult life. But the awakening to the need to reclaim my indigenous Ilocano identity came in the last six years, and into further fruition when I got involved with Kalingaforina Laga, a weaving circle of women promoting the art of Kalinga backstrap weaving called “laga”,” Rachel says. With its strong affinity to Kalingafornia Laga, HABIness invites people to connect with the story and tradition of the meticulous traditional handicrafts of the Philippines. To explore that connection through the threads of their own lineage and hopefully gain a deeper understanding and appreciation of where they come from. “Kalingafornia Laga weaving circle gradually grew out of a common desire to learn laga, the art of Kalinga back-strap weaving. But it’s about more than just learning to weave, it's a traditional art form, a conveyor of indigenous culture that has survived despite colonization. And our circle engages in place-making projects and activities for community to gather together and connect around common interests around our culture, history and our roots both in the homeland and here in Diaspora. It's very much a decolonization and maybe even a re-indigenization project and effort,if people awaken to that level,” Rachel says. And hers is a continuous process as she now begins to learn “abel”, the Ilocano weaving tradition. Certainly, the spiritual process of reckoning with decolonization and re-indigenization is as unique to each person as their individual history. But through both Kalingafornia Laga and HABIness, it has become clear to Rachel that it’s a process that many if not most Filipinos in the diaspora are undertaking, and is only strengthened by forming strong bonds with others who share national, ethnic, linguistic, and generational ties. “There is a real curiosity in the Filipino-American community to see more handicrafts like what HABIness offers. There are so many issues within our community that stem directly from colonization. Dealing with that has to start somewhere, and a good place to start is by recognizing and using our Filipino ancestry and re-discovering our indigenous identities that have been eroded as a base for building our identity and community. Art is such an accessible vehicle – it's visual, it's tactile, and it’s even wearable – and I think weaving is such a powerful vehicle for folks to experience that connection to ancestry and open them up to aspects of their indigenous identity that is there for us to reclaim and rediscover,” Rachel says. In turn, Rachel cites childhood memories of traditional, heritage crafts as yet another touchstone for her relationship with her lineage and, by extension, the ways that HABIness looks to help its community strengthen their own connections to their roots. “Growing up, my grandparents on my father's side would always give me and my siblings Ilocano woven blankets. They were beautiful. So I always had this romantic thing about weaving, something that I approached with the mindset of ‘Oh, it’s so pretty and I love it, but I could never do it. It’s too hard for me.’ And then as I learned to weave and furthered my practice, I found that it was also deepening my process of resurfacing my indigenous identity,” Rachel says. 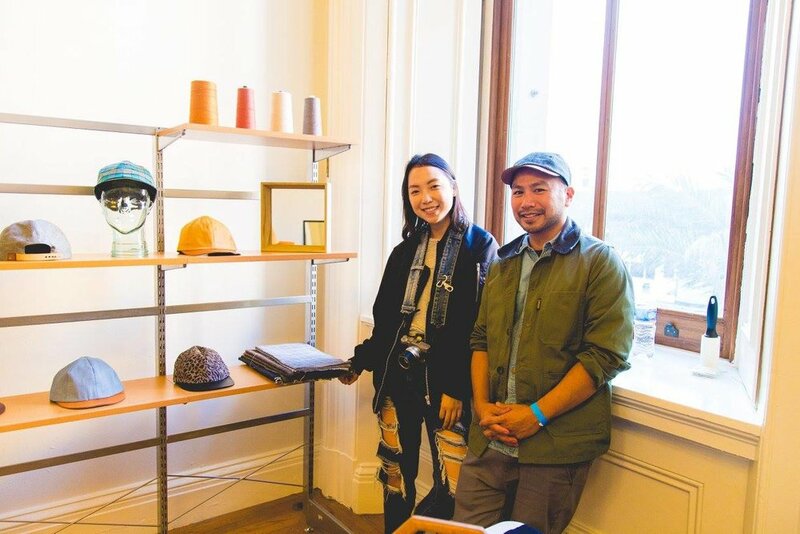 As she continues to unravel the history and craft of weaving and her personal relationship with the practice, she has found that being part of the rising tide of entrepreneurs and small business owners concentrated here in the San Francisco diaspora constitutes a serious responsibility to the indigenous identity that all Filipinx people share. “I think there's that umbrella of Filipino or Pinay-Pinoy entrepreneurship, whether it's Filipino-oriented graphic tee shirts, books, textiles, hand-carved pendants, or baybayin calligraphy on postcards – these are sacred pieces because, in these forms, they are vehicles for us to convey culture - especially indigenous culture - that has been eroded, suppressed, and marginalized within Philippine culture as well. That's a very powerful process for our people to engage in,” Rachel says. 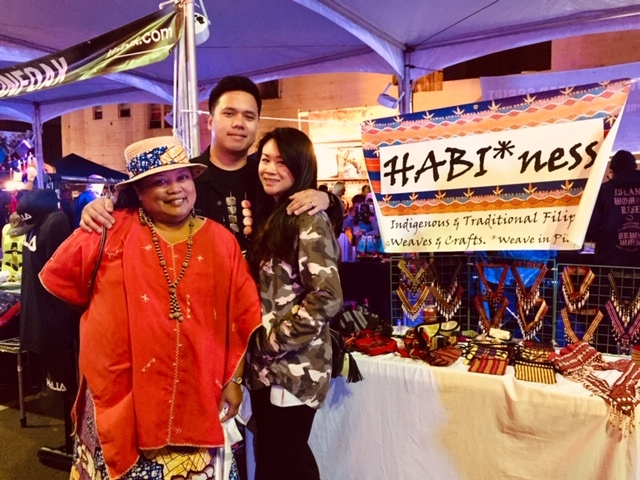 In that way, people who come to Undiscovered SF and take home or buy a gift of an Ilocano weave sewn into a contemporary wrap or scarf from HABIness are doing even more than just supporting local business, or even growing the Filipino Cultural Heritage District. They’re preserving traditions that are hundreds of years old and helping advance alongside their rightful bearers as Filipinx people continue to connect and make community. Written by Paul Barrera and Cat Jimenez. Started as a daily blog with doodles and captions to reflect her day-to-day life, littleHONEYvee has been constantly evolving since its start in 2011. Mom-trepreneur Vee Caragay is the enigmatic force behind the apparel and stationery business that aims to pass down and preserve Filipino childhood traditions. Originally from San Diego, Vee moved here ten years ago and has been living and creating all around the Bay Area ever since. Regardless of where she’s lived, Vee has been involved in Filipino and FilAm community organizations. Her work in the community is something that has shaped her designs and artwork. Vee is the one-woman force designing, screen-printing, and selling the eye-catching tee shirts with phrases like “Kain Na!”, “Close Open”, and “Gigil” that resonate deeply with a Filipino upbringing. Vee’s designs are more than just her passion – they blend her love for art with an inherent pride for her Pinay roots and a desire to share Filipino culture with the world. “There are so many customers that come to my booth and tell me, "I thought that was just something my lola and I did!” or "I thought that was just my family thing!" But little do they know that these phrases are a whole cultural thing. To know that my designs can connect people with the larger culture and be that bridge for them is awesome! I feel like my designs are gonna open up some doors for FilAm parents, especially second generation, third generation, and millennial parents, and give them the opportunity to pass down these traditions or "Filipino baby tricks", you know?” Vee’s energy and excitement are palpable as she laughs. Each of Vee’s designs originates from her own memories of being raised by her lola who passed on the “Filipino baby tricks” that Vee hopes to share with her diverse audience. Being able to connect with her audience and to see their reactions to a familiar phrase from childhood is one of the biggest rewards that Vee gets from littleHONEYvee. It’s an opportunity to not only strengthen her own roots and culture, but to see these traditions take on a new life as they encounter new cultures and generations. Her design style is fun and upbeat – much like Vee, herself. She emphasizes the importance of her audience’s feedback on her products and upcoming designs, showing that it’s the connection with her customers that she values the most. Armed with a sketchbook full of ideas, Vee is throwing herself head-first into the recent evolution of littleHONEYvee’s apparel line. One of her best-sellers, the “Beautiful Eyes” tee for kids, is a throwback to the Filipino practice of telling a child “beautiful eyes” to get them to batt their eyelashes and foster a sense of self-love in them from a young age. For Vee, her work within the different Filipinx and FilAm communities throughout California have opened her eyes to the need for a stronger effort to not only preserve and pass on Filipino culture, but to see it thrive and grow. 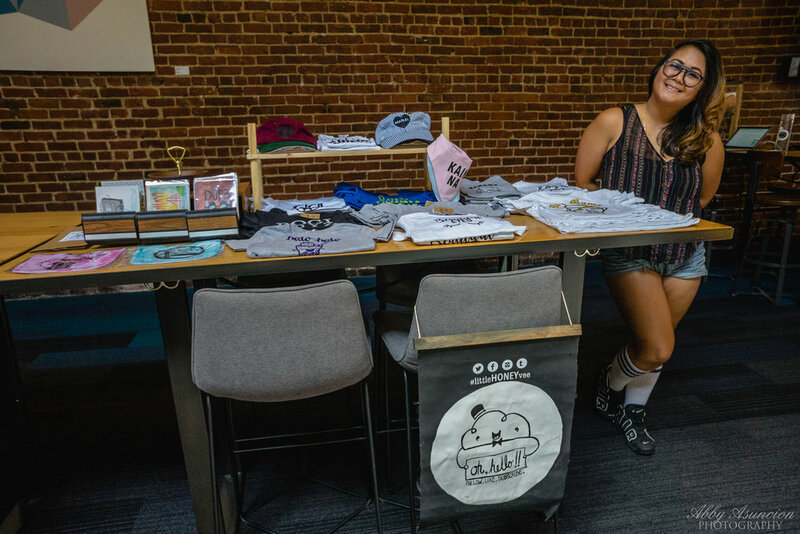 That’s why she loves Undiscovered SF – it’s a chance to regularly showcase her own work, and to see the new talent and goods that are emerging from the community. Make sure to catch littleHONEYvee’s new designs at Undiscovered SF on July 21st! 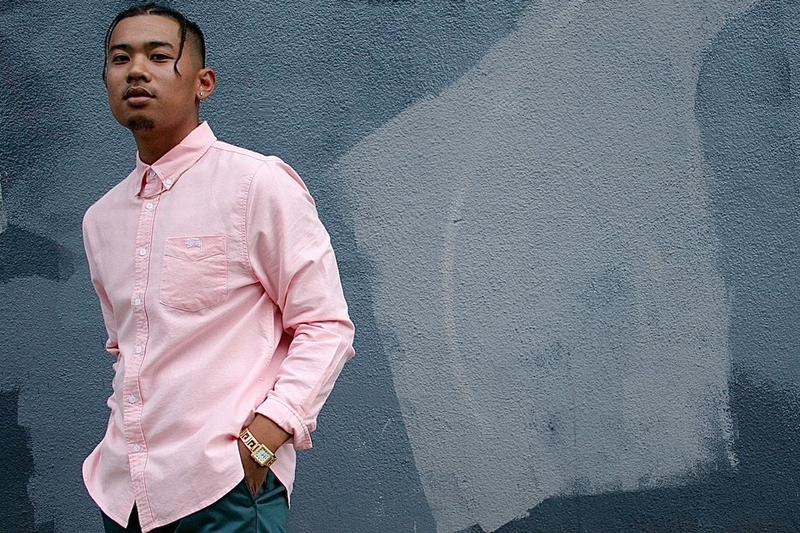 Justin Bautista, along with partner and college buddy Nathaniel Torres, opened the streetwear boutique Tilted Brim in the Tenderloin just over a year ago with the intention of creating a shop that expressed their core philosophy: Angle Is Attitude. Still, Justin is careful to highlight how, despite the influences of streetwear and hip-hop culture, his family and his upbringing had a major impact on his understanding of aesthetic — and therefore, the approach to clothing on display at Tilted Brim. Working with a boutique mentality has helped connect Tilted Brim with the other small businesses in the Tenderloin — a tight-knit community that Justin indicates as a key driver for Tilted Brim’s involvement with Undiscovered SF, where he feels the project helps contribute to wider goals of ownership and economic empowerment for Filipino-Americans in the Bay Area. Cir Sayoc, owner and designer of the bespoke headwear brand Non-Uniform Standard, has a calm, soft-spoken vibe that reflects the objects he produces. The hats that come out of Non-Uniform Standard present an obvious quality of workmanship and attention to detail — a contemporary sensibility for classic approaches to clothing. Craft is critical to the aesthetic of Non-Uniform Standard, which stresses the significance of the quality of materials and skill of the maker in its designs. It’s a principled approach that respects the utility of objects and incorporates purpose at every level of the design process — a method and work style that Cir says he developed as a young professional working in a San Francisco that looked and felt very different than the City seen today. Now, after years away from the City, working and living in Seattle, Cir is back in the Bay Area. And he’s noted the drastic changes that have taken root across the San Francisco landscape, not just from a socioeconomic perspective, but from a style perspective as well. It’s something that he’s incorporated into his project, not just as a way to appeal to a wider audience, but also to communicate his beliefs about what the City is and should mean. And he’s quick to point out that, despite his deep range of professional experience, his ethos has also been shaped by his family, and their approach to clothing and fashion. 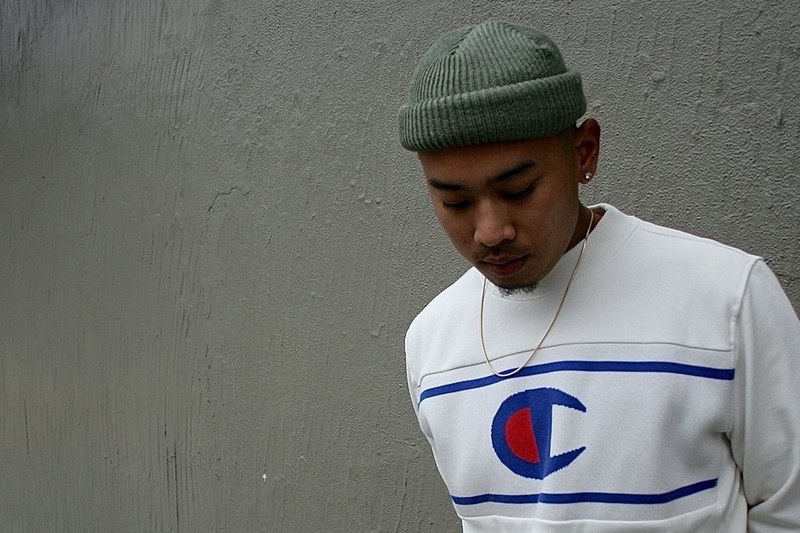 Raised in a critical era of style, the 1990s, between the two cosmopolitan capitals of California — Los Angeles and San Francisco — Cir’s understanding of aesthetic was developed out of a keen awareness for trends, rooted in a solid understanding that producing your own is always better than simply going out and buying. It’s this energy of family and moving forward together that Cir sees in abundance at Undiscovered SF and in SOMA Pilipinas — a site of cultural unity and exploration that he feels will play a major and lasting role for the Filipino-American community in the City.